It has often been said that corruption is the bane of any progressive society as it stifles development, good governance, professionalism, as well as entrepreneurship. Corruption erodes the values of hard work and honesty. 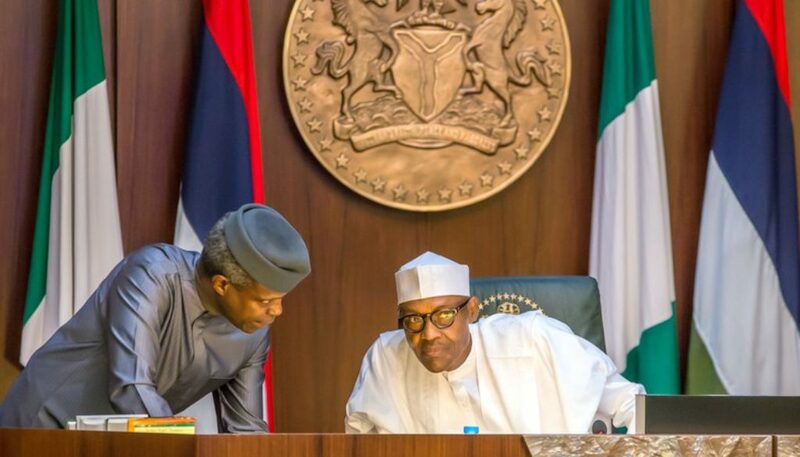 Prior to the 2015 general elections, Nigerians perceived President Buhari and Prof Osibanjo as incorruptible leaders whom the country desperately needed. Three years after winning a popular election, to what extent has this reputation been sustained? Upon assumption of office, the President declared that the tripod upon which his mandate was secured in 2015 was: anti-corruption, security and economy. Most Nigerians in euphoria of the peaceful transition of democratic leadership at the federal level looked forward to a surgical strike against pervasive corruption; endemic insecurity and a hemorrhaging economy. To attack poverty and reduce the growing number of unemployed people, one obvious scheme or intervention the government has announced is Nigeria Social Investment Programme (NSIP). NSIP has four components: National Home Grown School Feeding Programme (NHGSFP); Conditional Cash Transfer (CCT); Government Enterprise Empowerment Programme (GEEP) and N-power scheme. At the end of this year (2018), a total of NGR 1.5 trillion (One trillion, five hundred billion naira) would have been appropriated for NSIP according to the senate committee on appropriation. Between 2016 and 2017, NGR 1 trillion (one trillion naira only) was approved for NSIP. While N500 billion was appropriated for the NSIP in 2017, N100 billion was deducted from source for the Social Housing Scheme under the Federal Ministry of Finance. Having said that, N500 billion has survived as the yearly budget of the presidency for her ambitious social safety net programme as supported by development partners, notably the World Bank Group. Available data suggests that the federal government has expressed unusual interest, at least budgetary wise, in taking millions of Nigerians out of poverty and vulnerability. How has social safety programmes worked in other climes? Any attempt to provide answers, sharply divides opinions along retentionists and abolitionists. Undoubtedly, this is not without heated-debates and controversies. A recent one being the government’s revelation that $322.5 million (N116.1 billion) recovered from Abacha’s Loot would be spent on the poor as conditional cash transfers under NSIP. In a country with heavy burden of infrastructural deficit and majority of her population engulfed or stuck in poverty and lack, experts and public analysts have continued to provide alternative opinions on how this N116 billion could be best deployed. One of such genuine concerns among stakeholders is the absence of a national social registry. “Nigeria has no valid social register of poor and vulnerable Nigerians upon which selection of beneficiaries could be based” Seun has continued to contest. This is true. There is no comprehensive social register detailing the poor or vulnerable across the 774 Local Government Areas in the federation. In the event that a whopping sum of N116 billion is deployed as CCT to poor Nigerians who usually reside in thick rural villages, how can this money be managed without corruption or abuse? Popular opinions suggest that a participatory, open and transparent targeting system and register would need to be agreed upon by stakeholders, of which the methodology must be stripped of partisanship, religion and ethnicity. This is even so as poverty has no respect for a victim’s social characteristics. The Nigerian health sector is an area that government can either intervene or risk further decay and shame. The mistrust in our health sector is such that it is impossible for even the President to submit to Nigerian doctors for medical treatment. On occasions, the President had sought the attention of foreign doctors abroad even on mundane issues like ear infections. As a matter of fact, the President has spent time and resources overseas, seeking medical attention, in a manner unparalleled in Nigerian history. Clearly, our healthcare system, especially Primary Health Care (PHC), must be fixed for the benefit of every Nigerian. Who says that our PHCs cannot work again? Talking about educational crisis, annually, uncountable Nigerians are forced out of the country in pursuit of secondary and tertiary education in foreign soils, particularly Europe. In terms of educational tourism, Nigeria’s profile is the highest in volume in the whole world. This is a discrepancy, a departure from the normal. How long shall we continue in this diseased trajectory? Education is the engine of any progressive economy. Can any leader neglect it and still deliver on substantive benefits of democracy? I doubt. Worrisomely, Nigeria is beginning to manifest symptoms and signs on possible untenability of Vision2030 – #SDGS. Consider for example, a report by Mr. Suleiman Adamu – Minister of Water Resources, more Nigerians had access to potable water in 1990 than 2017. In medicine, it is believed that the daily water requirement for an adult human is about 5 litres of clean water. In the open market, a 75cl of bottle water (Eva) costs about N100. Therefore, to satisfy the 5 litres daily requirement of water, about 7 bottles of water are required. This amounts to about N700 daily. With simple addition or multiplication, a Nigerian would need about N21, 000 per month if he or she is interested in potable water – Eva in this case. Recall that the minimum wage in Nigeria is N18, 000 (eighteen thousand naira only). Graphically, potable water is a luxury in Nigeria. Meanwhile, the SDGs (Goal 6) aim to achieve universal access to safe and affordable drinking water for ALL by 2030. With budgetary shortfalls and inconsistency in implementation, is there hope that #WaterForAll can be achieved in Nigeria? In all sincerity, we believe that a large part of the recovered Abacha’s loot should be used for special intervention in our sickly health and education sectors; supporting the attainment of #SDGs, and financing technological startups. In the circumstances of scarce resources with competing needs, we beseech the Federal Government to ensure that recovered loots are not plundered. Deploying N116 billion without a comprehensive, valid and transparent social register of the poor and vulnerable class would amount to a damaging blow against the government’s anti-corruption posture or body language, in the case that anything goes wrong. For now, the anti-corruption efforts must succeed. The President has my support. There is no other way! Would the President listen and realign his spending tendencies to synchronize with his government’s Economic Recovery and Growth Plan (ERGP)? This is one thing Nigerians would be happy and celebrate the President for. Nigeria’s national and sub-national spending, for common good, must be retooled to reflect creative and deliberate investments in human capital development. On a daily basis, many households are confronted and brutalized by poverty. They cannot guarantee their daily bread. Governments must respond to these needs as a matter of obligation and responsibility. Social safety programmes are commendable but not at the detriment of investments in human capital and macroeconomic stabilization.